Enjoy the delights of half board accommodation with scrumptious buffet breakfasts and dinners consisting of vibrant world flavours and local favourites alike. 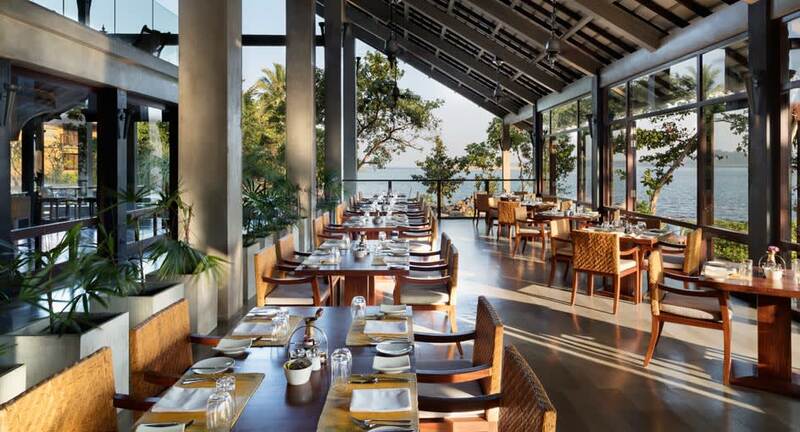 All new bookings made on anantara.com for stays until 22 December 2020 enjoy complimentary a food and beverage credit of USD 75 per stay for rooms (only). Stay a minimum of 4 nights until 22 December 2020 and also be treated to complimentary dinner each night of your stay. Suite or villa bookings for stays until 22 December 2020 receive one 60 minutes couples spa treatment. Reservations made using any promo/corporate/group codes or team member rates are not eligible for the above resort credit. Revel in the ultimate island lifestyle with luxury accommodations and global cuisine. Spend your day lounging by the pool or immerse in holistic wellbeing with 20% savings on spa and Ayurveda treatments. Take in uninterrupted views of the lagoon or Indian Ocean in our luxurious rooms, suites or pool villas inspired by world-renowned architect Geoffrey Bawa. Gain easy access to Colombo from the charming coastal town of Kalutara and experience the warmth of Sri Lankan hospitality. The rate quoted is per room per night, including maximum discount, subject to seasonal variations, a cancellation policy and change without notice. A range of resort activities can be booked at additional cost. Flight details must be provided 72 hours prior to arrival for airport transfers to be arranged.